Put your best foot forward with this cool footie folder! Pick up tips and tricks from the book – and use the CD-ROM to create your own kicking stationery and projects! 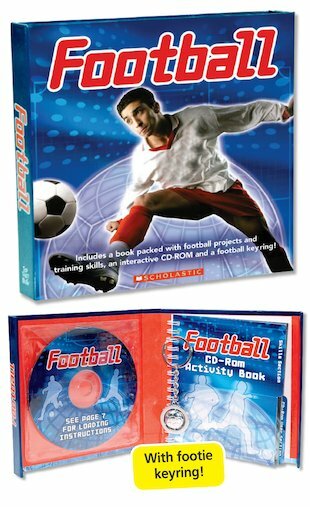 You’ll find inspiration for your game and all kinds of clever ball skills inside the handy guidebook, and there’s the chance to get creative off the pitch as well with an activity CD-ROM. Make your own themed stationery, gifts and much more using the amazing interactive design features. Now just wear your cool keyring to show the entire world that you’re a true footie fan! Woo Hoo I love Football. I like Rangers.